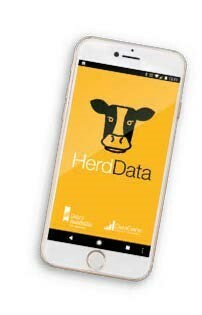 DataGene’s HerdData SmartPhone App makes it easy for dairy farmers to enter herd records from a mobile device. · DataGene HerdData makes it easy to enter herd records from anywhere; you don’t have to be near a computer. · As well as making data entry easier and more convenient for farmers, the App will enable information to reach DataGene’s genetic evaluation data base that was previously difficult to capture. That means more accurate breeding values and opportunities for new breeding values, such as for health traits. While many dairy farmers have computerised herd records, an ongoing challenge has been to get information observed in the field (and often hand written in a note book) into the herd’s computerised record system. Examples of information records that may not be captured include calving information observed in a paddock, pregnancy test results called out by the vet, or health events and treatments which may occur in the paddock or dairy. Both individual dairy farmers and the herd improvement industry stand to benefit from capturing these records. For farmers, more complete records would allow for better management decisions based on the various reports available. For industry, more complete herd records reaching the genetic evaluation system would allow for more accurate Australian Breeding Values (ABVs) and opportunities to develop new ABVs including additional health traits. The DataGene HerdData App will be available on both the Google Play and iOs App Stores. DataGene HerdData was developed by DataGene, an initiative of Dairy Australia and industry. Initially developed by Hico, further refinements were funded by the Gardiner Dairy Foundation. Thanks also to participating herd test centres for assistance in delivering DataGene HerdData to dairy farmers. HerdData can be used to enter information about calvings, dry-offs, pregnancy test results, sales, culls, matings, health events, treatments and more. · Available for Android and Apple phones and tablets. · Synchronises with herd management software. 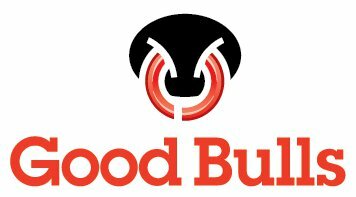 The Health Data, Healthy Cows project assessed the feasibility of developing Australian Breeding Values for health traits. One of the key challenges identified was the need for more data records about health events and treatments reaching DataGene’s genetic evaluation system. The HerdData App will enable this to happen, while providing farmers with an easy and convenient tool to improve their own herd records.